One of Sheila’s (Sheprendo) first jobs was working as a Play Therapist with people with learning disabilities. It was a job she enjoyed immensely. She worked as a qualified nurse for 23 years. Sheila has always had an interest in magic and children’s entertaining. She loves balloon modelling and helped as a volunteer at the local hospital on the children’s ward. The children and staff loved the balloons. She works with puppets – two favourites are Ben in the basket, a great comedy routine for children of all ages and Timmy the turtle – an Axtell Puppet – everyone loves them. She uses other puppets in her shows. 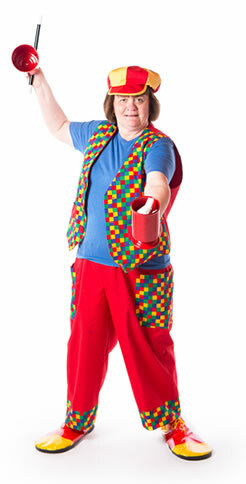 Sheila loves magic and involves the children in her shows. She is able to provide Birthday Parties, Themed Parties and Children’s Parties – Parties “For the young at Heart”. She is a female children’s entertainer and magician. She has been CRB now DBS (disclosure) checked, all electrical equipment PAT tested and has public liability insurance. Sheprendos Magic Parties look forward to providing a fun packed party for your children using magic, balloon modelling, music, games and puppets. She is based in Chinnor, near Thame Oxfordshire.